A bowl of sunshine on a rainy day! This recipe is adapted from Naturally Sassy to reduce the oxalate content. 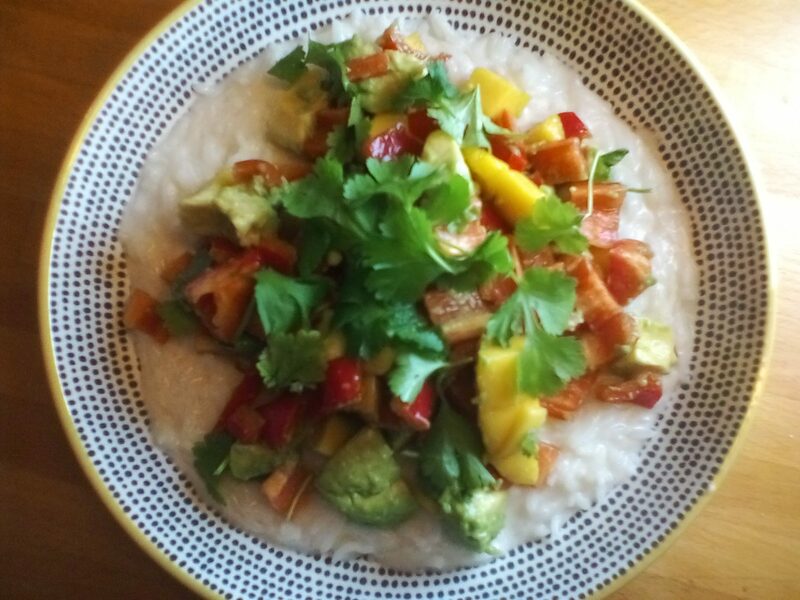 One of my favorite nourishing bowls of goodness and the cold salsa and hot coconut rice really work well together. This makes a delicious and satisfying lunch or evening meal. Serves 2 Oxalate per serving: less than 12 mg. Put rice in saucepan, add coconut milk, water, ginger and salt. Cover with lid, bring to boil, reduce to simmer and check after 10 mins or rice cooking instructions. When rice is cooked add lemon juice. It will look a little like creamy rice pudding. Pour rice into serving bowls, top with salsa and enjoy!